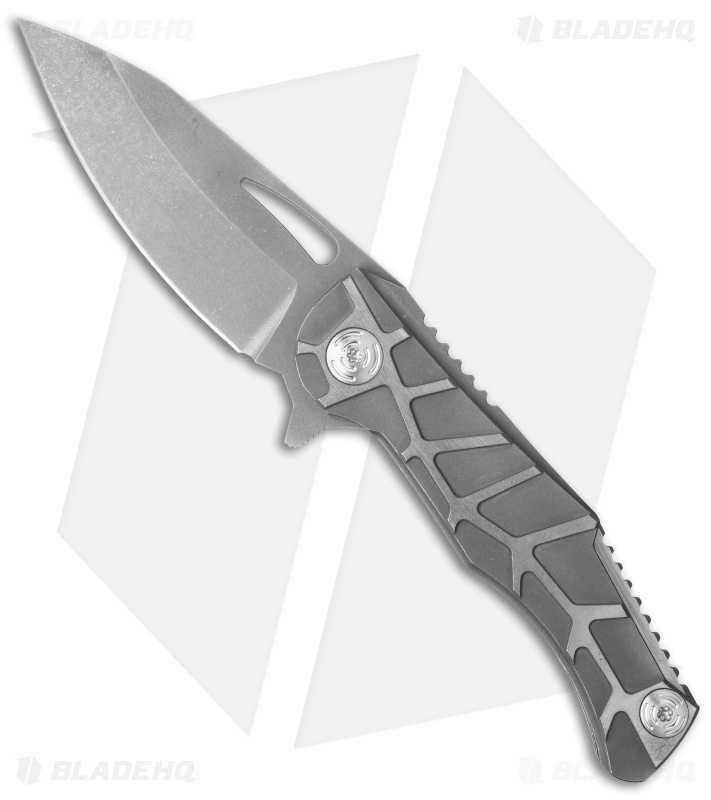 The Urban Tactical Dredd flipper from Mikkel Willumsen combines an assertive design with top quality components. 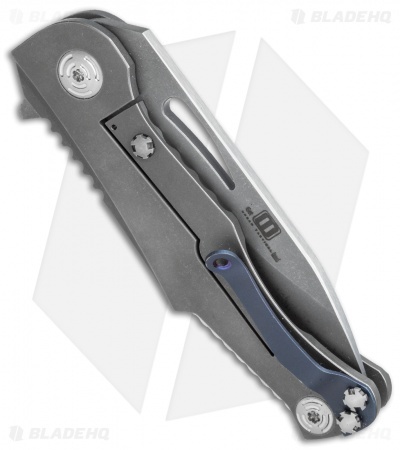 It has a titanium handle with a stylish two-tone finish and a steel reinforced lock bar. The blade is made from CPM-154 steel with an acid wash finish that will resist scratching and wear. A titanium backspacer and anodized pocket clip add a nice finishing touch to the design. The Urban Tactical Dredd is built to withstand everyday urban use and tactical field applications. CPM-154 blade steel resists wear and is easy to sharpen. Steel lockbar insert prevents over-travel and lock stickiness. Jimping along spine ensures a reliable grip in all conditions. 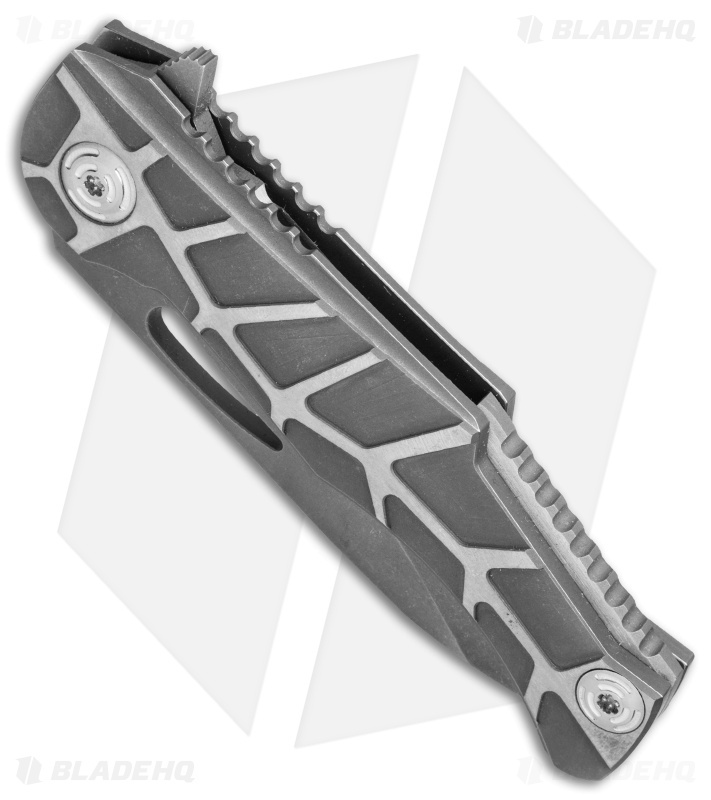 Anodized titanium pocket clip for tip-up carry.